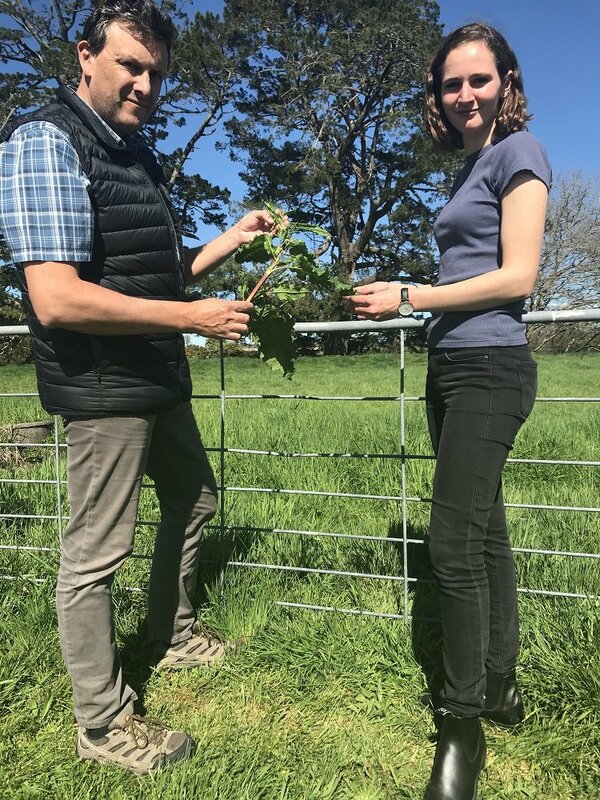 We work across science, policy and farmer engagement, focusing on insect pests, weeds and diseases and preventing new organisms getting into New Zealand. We talk directly with farmers and work with (and are supported by) DairyNZ staff across the business, plus others in the sector and elsewhere. Some of our other activities include developing an on-farm biosecurity programme for dairy farmers, contributing to education initiatives and updating biosecurity information on DairyNZ’s website. We also work with OSPRI on its National Animal Identification & Tracing (NAIT) and bovine tuberculosis (TB) programmes, and we work with other researchers and agencies. What key things does your team talk about with farmers? We see ourselves as the link between farmers and the government and researchers. We help to feed ‘the farmer’s voice’ up to the people who make decisions, ensuring what’s proposed at a science and policy level will work for farmers. We talk to farmers about pests, weeds and diseases, advising them and putting them in touch with the right information and people. Farmers also talk to us about biosecurity issues featured in the media, or if they’ve seen something unusual or unfamiliar on their farm that might have biosecurity implications. What’s something your team is proud of achieving in the past 12 months? I’m really proud of how our team, and many other DairyNZ staff, have contributed to the M. bovis response. We’ve worked hard to get in there ‘boots and all’ to directly support affected farmers. DairyNZ’s people have been part of the national M. bovis response teams from the start, helping with governance, planning and communications. We’re passionate about making sure the response teams and the Ministry for Primary Industries (MPI) understand dairy farmers and their needs. Tell us something quirky about your team? We come from diverse backgrounds. Liz is a vet and comes from a clinical practice and regulatory (vet medicines) background. I came through a regional council pathway and a general science background. Nita is also a vet and Katherine is an agricultural management graduate, extending her animal care passions into biosecurity (both also work in DairyNZ’s animal care team). What’s the main message you try to get across about biosecurity? Ultimately, each farmer is best placed to manage their own biosecurity, and they shouldn’t forget that. Another key message is that biosecurity is not as hard to do as many people think. The M. bovis situation has really reminded all of us why biosecurity is important and why everyone should care about it.